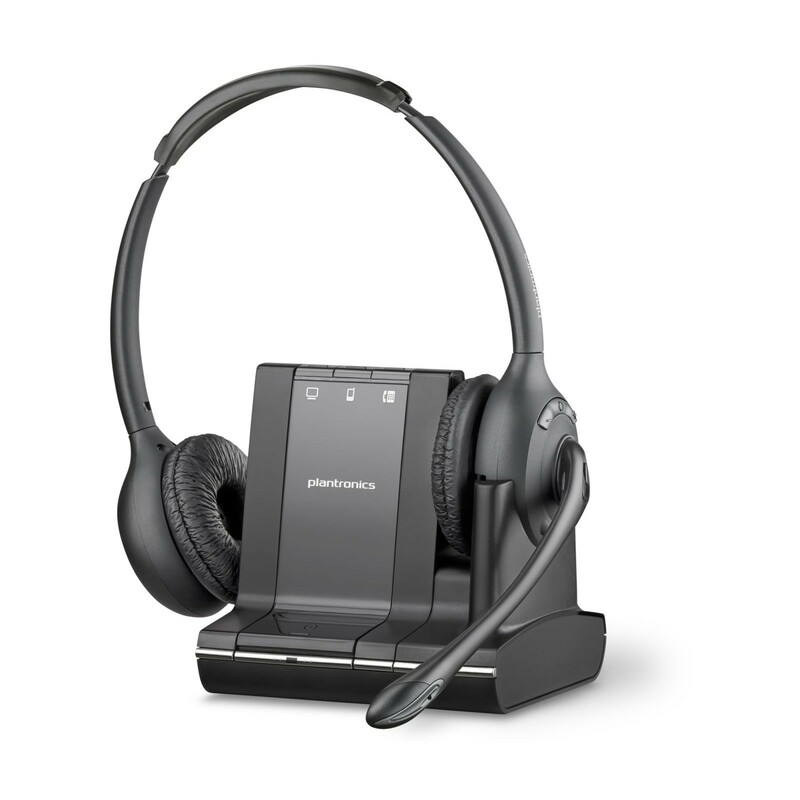 The Plantronics SAVI W720 boasts 3-way connectivity allowing users to manage calls over PC, Desk Phone, and Mobile. The binaural, over the head desogn makes this an ideal choice for noisier work environments. Equipped with CAT-iq wideband technology for enhanced sound quality on calls, the Plantronics W720 is a reliable choice for professionals. The noise-cancelling microphone helps to eliminate background interference whilst the latest Digital Signal Processing delivers better voice reproduction for natural sounding conversations. Further benefits of this dependable headset, include: a battery life for up to 9 hours of continuous talk time, SoundGuard protection, and up to 120m range. The Plantronics W720 is the ultimate Binaural Wireless Headset and offers convenience of having one headset that can be used to manage calls efficiently across PC, Mobile, and Desk Phone. I really like this headset. It is much lighter than I had been expecting and is extremely comfortable to wear. Opted for a binaural model so that I could hear better when on calls as the noise level in our office can get quite loud. I've also noticed a huger improvement in the sound clarity compared with my previous one. I would recommend it.